What a night for Mario Balotelli. The AC Milan striker was the star of the shock of the 3rd day of the World Cup in Brazil. 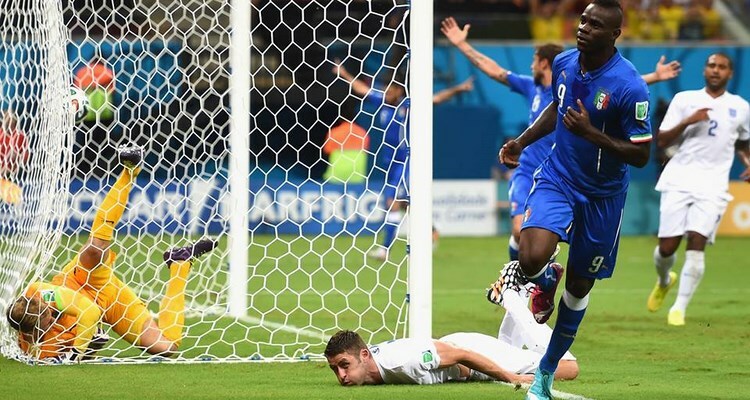 The player of Ghanaian origin shone with Italy during the precious 2-1 success against England. Highly anticipated, the former Manchester City did not disappoint. But it is another player who steals the show in the first part. Claudio Marchisio hit a magnificent shot to defy Joe Hart. But before halftime, the Englanders tied the scoring in a high rate game. Both teams go blow for blow. After the break, Pirlo regales with his passes, Sterling dazzled the Italian defense with his dribbling. Then in the 50th Mario Balotelli recovers on a header a shot from Candreva on the right side to hand advantage to Italians. England could not pull it back despite a big burst of energy. Italy joins at the head of the group, Costa Rica who surprisingly dominated Uruguay earlier (3-1).